La Aurora has announced Hors d'Age, a new limited edition cigar that will make its debut at the IPCPR trade show in Las Vegas this month. All the tobacco in Hors d’Age was harvested in 2006. Production is limited to 6,000 boxes. 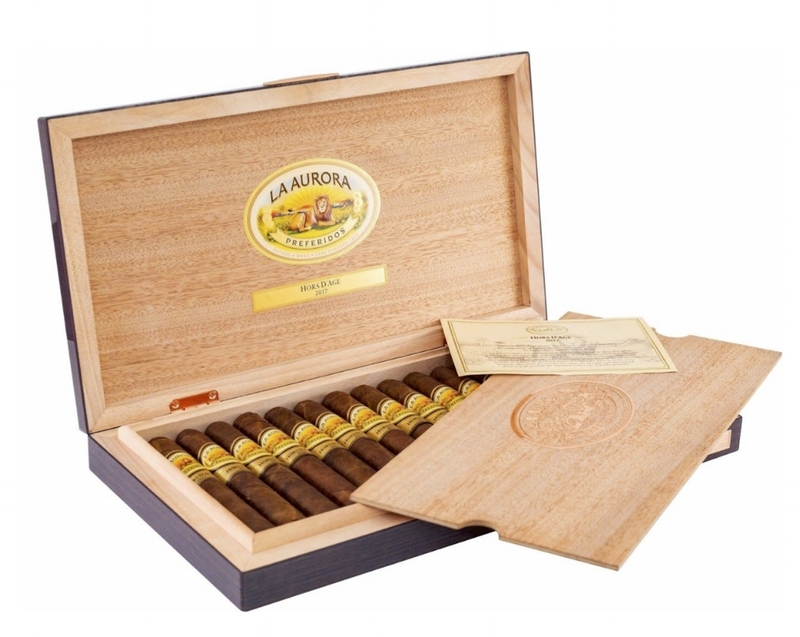 The La Aurora Hors d'Age features an Ecuadorian wrapper and binder, while the filler is mix of Colombian, Dominican and Nicaraguan tobaccos. They’ll come packaged in 15-count boxes of one vitola, a 6 x 54 Toro.